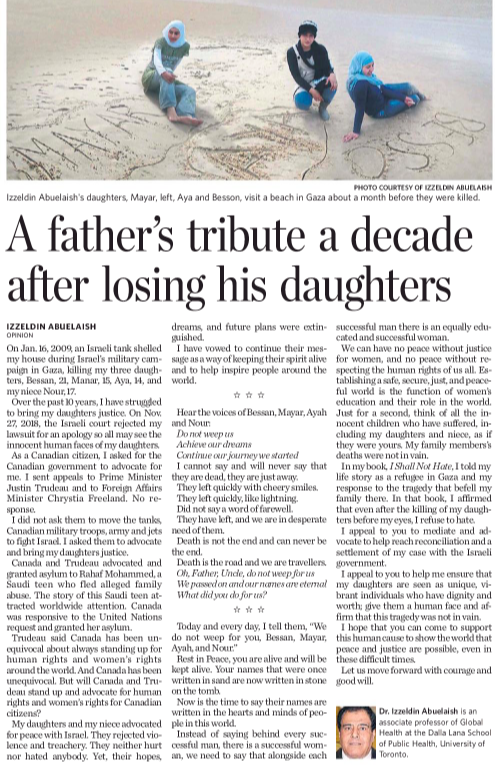 On January 17, the Toronto Star prominently published an op-ed by Dr. Izzeldine Abueliash entitled “A father’s tribute a decade after losing his daughters in Gaza”. Regarding the tragic circumstances that saw the deaths of three daughters of Palestinian doctor Izzeldine Abuelaish, and his niece ten years ago, Israel’s Beersheba District Court said that Palestinian terror groups bore direct responsibility for the girls’ deaths by fighting from within a civilian population and storing weapons in the building where they died. According to the Times of Israel, Justice Shlomo Friedlander said in his ruling that Israel Defense Forces’ shells hit the building in the midst of a battle in the area because figures on the roof the building were suspected of acting as lookouts for terror groups and directing fire (sniper and mortar shells) at IDF forces. 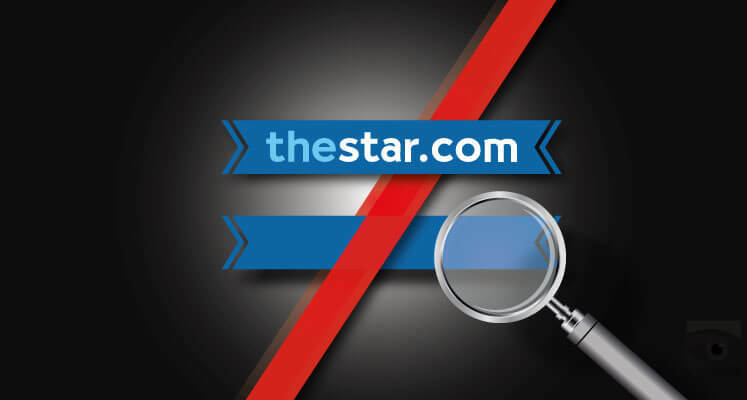 In addition, there was evidence that secondary explosions were apparently caused by weapons stored at the site, albeit without the Abuelaish’s knowledge, which may have killed his family members. Notwithstanding, the IDF accepted responsibility for the deaths of Dr. Abuelaish’s family members and Dr. Abuelaish himself accepted the IDF’s findings and thanked Israel for carrying out an honest investigation. “We all make mistakes,” he said previously, adding that he hoped that such an error would never be repeated. Importantly, Israel said the conflict at the time (and which still exists presently) was a response to hundreds of rockets launched by Hamas terrorists committed to Israel’s destruction at Israeli population centers.